We analyzed 380 restaurants and results are in! Franchisees and Operators are spending more dollars on print than ever before. We spoke with a few of our current clients in the Food and Beverage industry, and did a little research into what might be at the heart of this marketing trend. 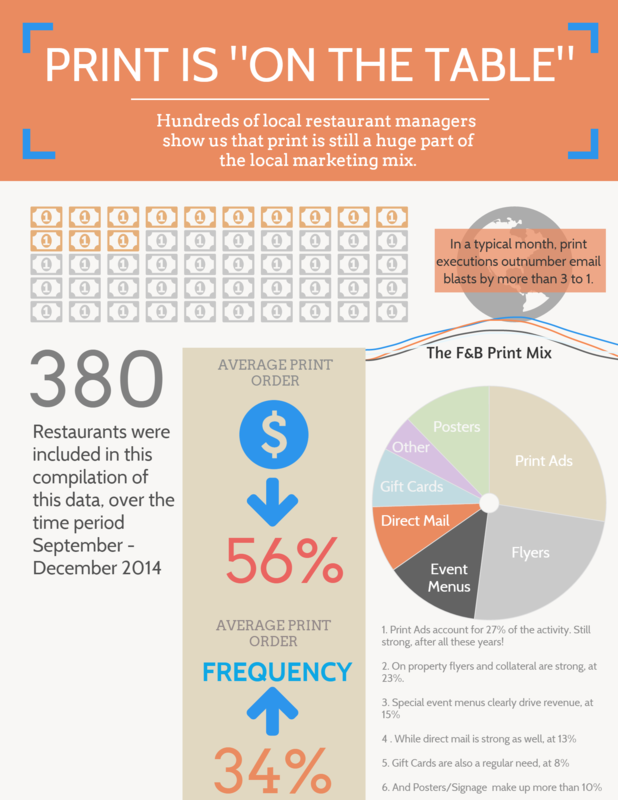 What we came up with is a pretty interesting infographic on where we think F&B marketing is headed, in 2015 and beyond.